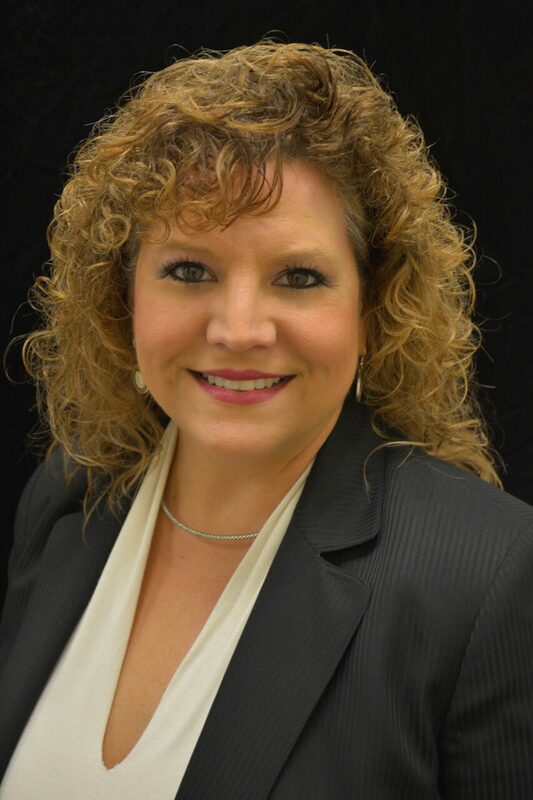 (SAVANNAH, GA) Kim Thomas of the Savannah-based commercial construction company, the Dewitt-Tilton Group, received certification from the Star Building Systems’ Builder School in Oklahoma City. Thomas is the Director of Operations for the Dewitt-Tilton Group, which has been an authorized Star Builder since June of 2016. During the four days of instruction, participants were introduced to topics such as leading-edge building products and new methods for metal building construction. Throughout the week students met with industry experts presenting new trends with estimating, engineering, customer service and field service. Attendance included representatives from both national and international firms. Students received a Certificate of Completion plaque which was presented by Star’s President, David Alexander. 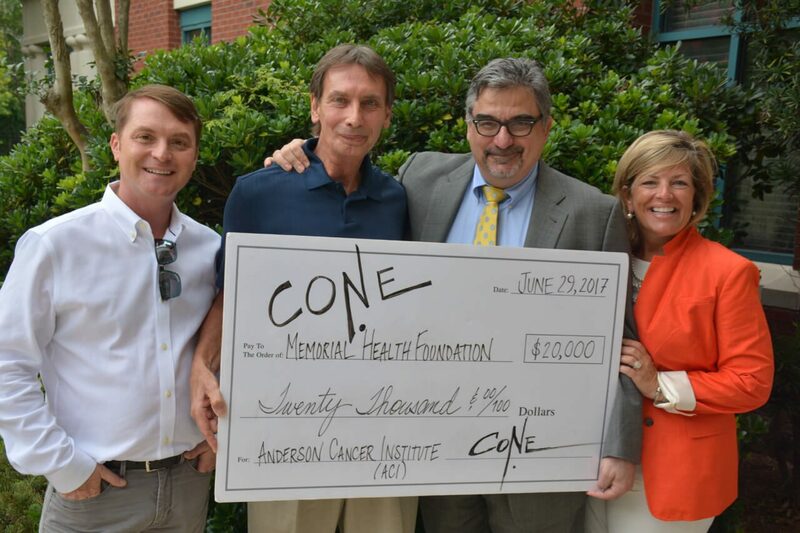 (SAVANNAH, GA) Savannah artist Jim Cone has presented a $20,000 check to the Curtis and Elizabeth Anderson Cancer Institute (ACI) at Memorial University Medical Center. Cone donated 50 percent of his profits from his first public fine art exhibition, which was held at 24e Design Co. on Broughton Street featuring drawings, paintings, sculptures and mixed media pieces. ACI provides cancer screening, diagnosis, surgery, chemotherapy, radiation, support services and long-term follow-up for cancer patients. Cone was diagnosed with throat cancer but has been found cancer-free after treatments at the ACI. “Overcoming my recent battle with cancer gave me a second chance to explore my creative passion, so I wanted to use this new energy to give other cancer patients the same chance,” said Cone. Cone, a retired Georgia Power employee, has been creating art for more than 40 years. Ruel Joyner, owner of 24e Design Co., has known Cone for a number of years called Cone’s work a pure form of passion and said he was honored to showcase the work. In his distinctive style, and with vibrant colors, Cone pushes cubism forward. Considered to be the first abstract style of modern art, Cubist artists try to piece together fragments from different vantage points into one painting. With the spirit of inclusion, one can see the incorporation of cubism in almost all of Cone’s artwork. The bold expression of color often separates and defines Cone’s cubist works from those cubist works by others like Picasso and Braque. 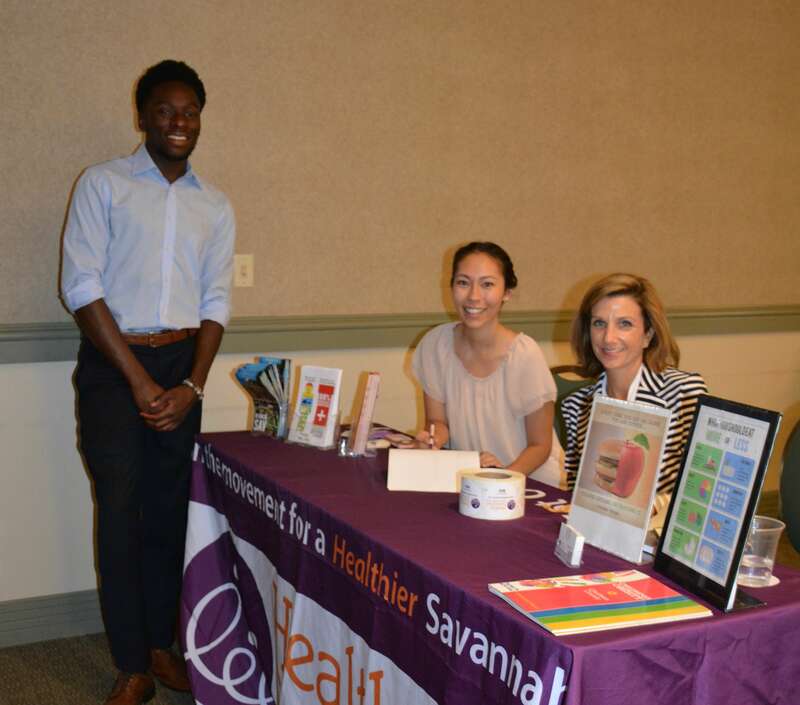 (SAVANNAH, GA) Savannah Striders was awarded the $1000 Encourage Health grant at the second luncheon lecture of the 2017 Encourage Health Education Series. Since 1978, the Savannah Striders has been Savannah’s premier running and walking organization. With members representing various levels of fitness from walkers to elite athlete, the group promotes running and good health and welcomes all who are interested in learning more about health and exercise. The group also hosts or supports events for runners of all ages and holds monthly meetings designed to inspire, inform and motivate runners to reach their fitness goals. This local nonprofit is one of four groups receiving grants during the 2017 series to support their programs promoting healthy living, active lifestyles or nutritional education. The others include The Living Vine, Savannah Urban Garden Alliance and the Girl Scouts of Historic Georgia. Dr. Robert Rollings was the event’s keynote speaker, addressing attendees on the topic of “Seven Ways Your Heart Health is Linked to a Healthy Lifestyle.” Rollings is a cardiologist certified in echocardiography and nuclear cardiology who has completed a fellowship in cardiovascular magnetic resonance imaging and a fellowship in cardiovascular diseases. He practices at Memorial Savannah Cardiology. In total, the 2017 Encourage Health Education Series features four lunchtime presentations from respected experts who share insights on nutrition and fitness plus general tips for healthy living, along with a healthy lunch, which is provided free to registered attendees. 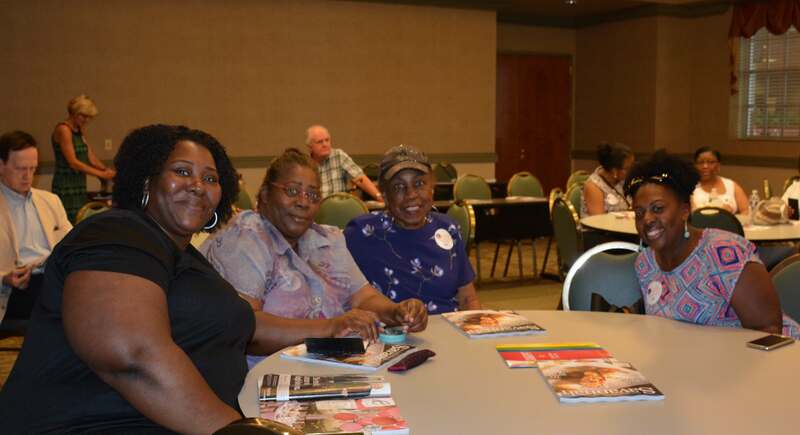 During each event, a local nonprofit organization is also presented a $1,000 Encourage Health grant to support programs promoting healthy living, active lifestyles or nutritional education. The next presentation will be on August 22, featuring Ross Harding, presenting “The Golden Healers: A Study of Ginger and Turmeric’s Effect on Health.” A $1000 check will be presented to the Savannah Urban Garden Alliance. 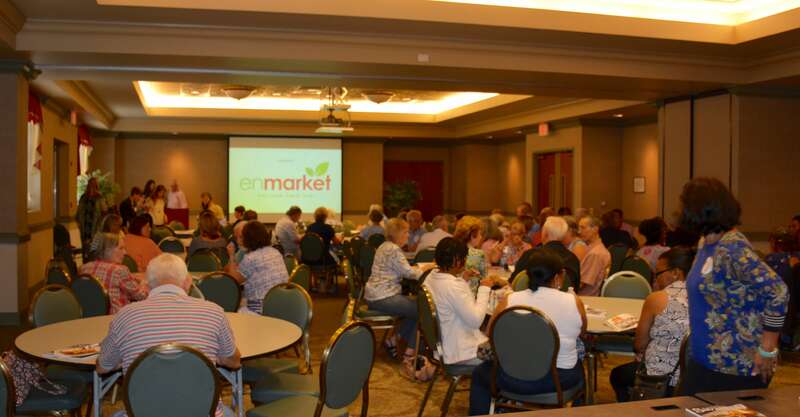 This marks the fourth year for the enmarket Encourage Health Education Series conducted in partnership with Healthy Savannah, Sandfly Family Dental, Gulfstream Aerospace Corp., Hoist Water, Savannah Morning News, Savannah Magazine and GPB Savannah – WSVH 91.1/WWIO 89.9. 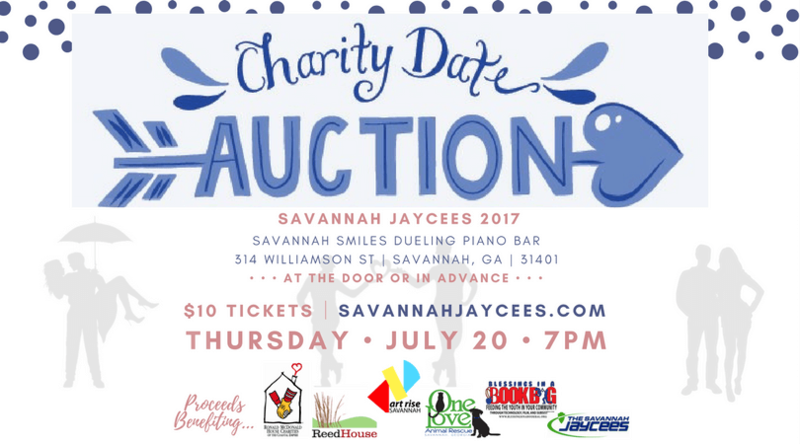 (SAVANNAH, GA) The Savannah Jaycees’ fourth annual Charity Date Night Auction will be held on Thursday, July 20 at 7 p.m. at Savannah Smiles Dueling Pianos, located at 314 Williamson Street. The Savannah Jaycees have chosen six local charities to whom 50 percent of the proceeds from the auction will be donated. Those organizations include the Ronald McDonald House of the Coastal Empire, Reed House, Art Rise Savannah, Blessings in a Bookbag, One Love Animal Rescue and Savannah Jaycees. A social hour will be held from 7 p.m. to 8 p.m. where attendees will have time to talk and meet the participants. Promptly at 8 p.m., eligible bachelors and bachelorettes will be auctioned off with date packages. During the event, Savannah Smiles will provide entertainment. (SAVANNAH, GA) Savannah dentist Angela Canfield, with Sandfly Family Dental, will donate custom-made mouth guards to the Bethesda Academy football team for its 2017 season, and the mouth guards will be made in the school colors of navy and gold. Canfield will take impressions of the players’ teeth at Bethesda at 10 a.m. on Thursday, July 27. Custom-made mouth guards provide stability to the players’ jaws and cushion blows that can cause severe dental injuries such as broken teeth, fractured jaws, gum lacerations and injuries to their lips or tongue. The full fitting, molding and examination of each player’s mouth guards usually cost $440. With 44 players on the Bethesda team, Canfield will be donating approximately $19,360 in mouth-protection gear to Bethesda Academy students. The mouth guards have a one-year warranty that covers dental expenses incurred by players who are injured while wearing the mouth guards. The warranty also pays $1,093.75 per injured or replaced tooth and up to a maximum total liability of $35,000 per incident. The American Dental Association estimates the use of mouth guards prevents approximately 200,000 injuries a year in high school and college football. This marks the 3rd year Canfield has picked a local sports team to receive free mouth guards as part of the Canfield Mouth-Shield Program. Applications for the 2018 Canfield Mouth-Shield Team should be submitted to her office. Applications must be submitted by Friday, Sept. 1 to be considered. Dr. Canfield is licensed by the Georgia Board of Dentistry and the National Board of Dentistry. 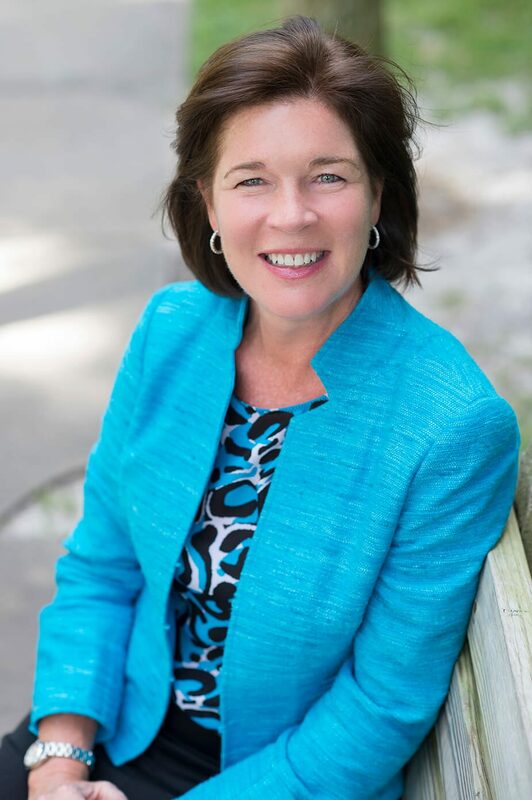 She owns and practices at two dental offices: Premier Dental Designs in Rincon at 5871 HWY 21 South and Sandfly Family Dental in the Norwood Market in Savannah. Both offices provide Family/Preventative Dentistry, Cosmetic Dentistry, Restorative Dentistry, Orthodontic Dentistry, Digital X-Rays, E4D One Day Crowns, Electronic Claims, Intra Oral Camera and Paperless Charting. The offices are open Monday through Friday and offer evening appointments. For more information, call 912.826.4037 or visit http://www.premierdentaldesigns.com/ or http://www.sandflyfamilydental.com/. What are some of the unique aspects of the design? It was important to us to create a building that suited our image of the law firm. In my opinion, we couldn’t move this group of lawyers out of the Armstrong House and into a West Chatham office building. The building needed to fit the firm, and its prominent location on the southern end of Forsyth Park. Additionally, it was an exercise in designing a building that fit the context and addressed the corner of W. Park and Bull Streets. It needed to anchor that corner. The attorneys wanted a more democratic and efficient layout to the office. Are there any green aspects? We do have point-of-use controls for HVAC, allowing more individualized control of comfort systems. For instance, if two offices are warm on the southwest corner, we don’t have to chill the entire floor. We can just bring down the corner zone to be in the comfort zone. We also have highly-efficient HVAC systems. The envelope is as tight as it can be to lessen air infiltration and to provide a thermal break from the outside. We used daylighting and dimmable LED lighting to allow control and lessen the amount of artificial light needed. Every office has a window. We would expect a 30-50% reduction in energy use per person when compared to their existing building. Any other interesting things to know? The building was constructed in around 9 months, a bit of a record for a custom private office building in our area. 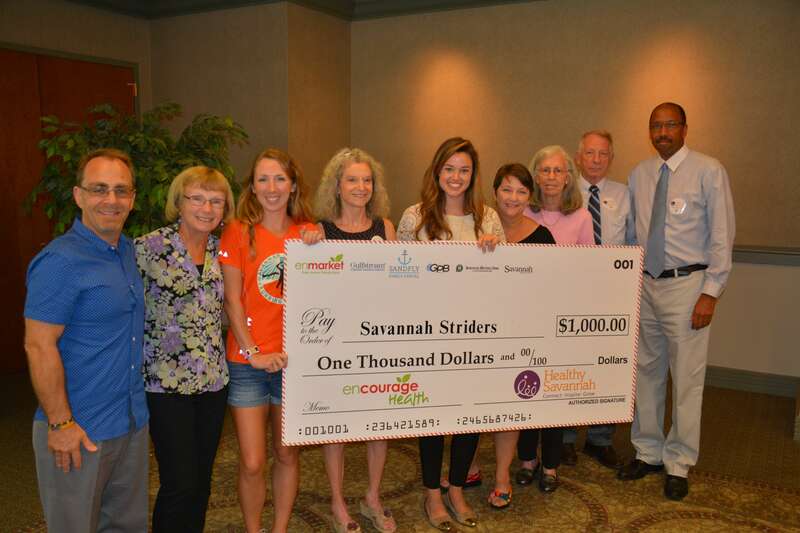 (SAVANNAH, GA) The Savannah Striders was awarded a $1000 Encourage Health grant during the second luncheon and lecture of the 2017 Encourage Health Education Series. Since 1978, the Savannah Striders has been Savannah’s premiere running and walking organization. With members representing various levels of fitness from walkers to elite athlete, the group promotes running and good health and welcomes all who are interested in learning more about health and exercise. The group also hosts or supports events for runners of all ages and holds monthly meetings designed to inspire, inform and motivate runners to reach their fitness goals. 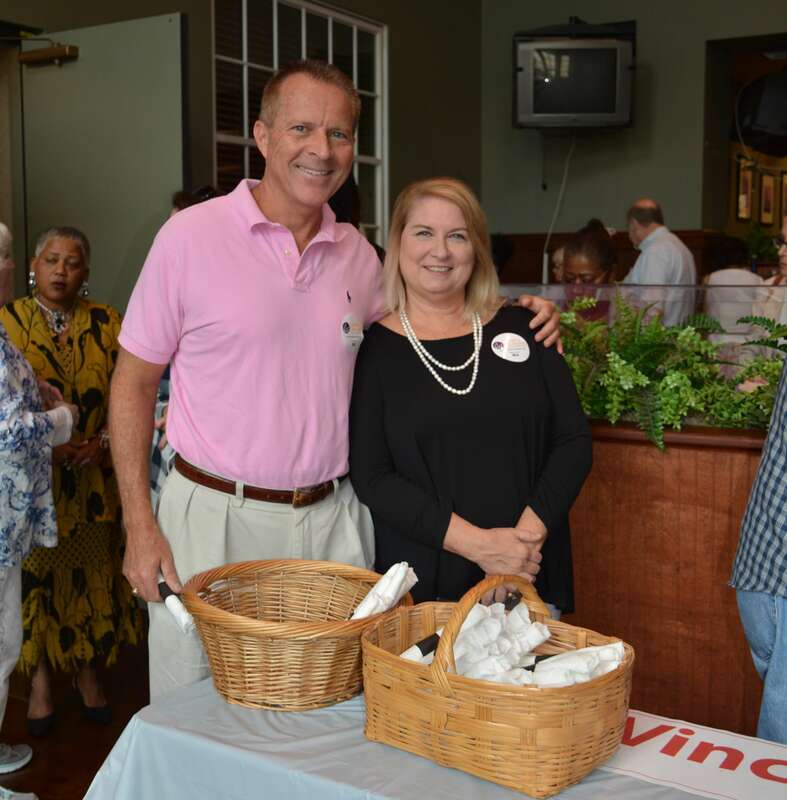 (SAVANNAH, GA) Nina Gompels, owner and operator of five Savannah area McDonald’s restaurants, was named as the Rotary Club of Savannah‘s new president. On Monday, June 26, the Rotary gavel was passed to Gompels from outgoing president Camille Russo, chief financial officer at Alta Innovations. This will mark the first time the club will have had two consecutive women presidents. Gompels will be joined on the board by Secretary/Treasurer Fran Kaminsky, Sergeant at Arms Dr. Ben Spitalnick, Rick Belford, Ellen Bolch, Malcolm Butler, Todd Groce, Cliff McCurry, Phoenicia Miracle, Roger Moss, Paul Pressly, David Rosenblum, Swann Seiler, Mike Traynor, Marjorie Young. After graduating from Savannah Country Day School, Gompels earned a bachelor’s degree from Georgia Southern University in business administration. She cherished her Georgia Southern ties, and her first job after college was with the GSU foundation. Today, Gompels owns five McDonald’s restaurants in the Savannah area and employs more than 200 people. 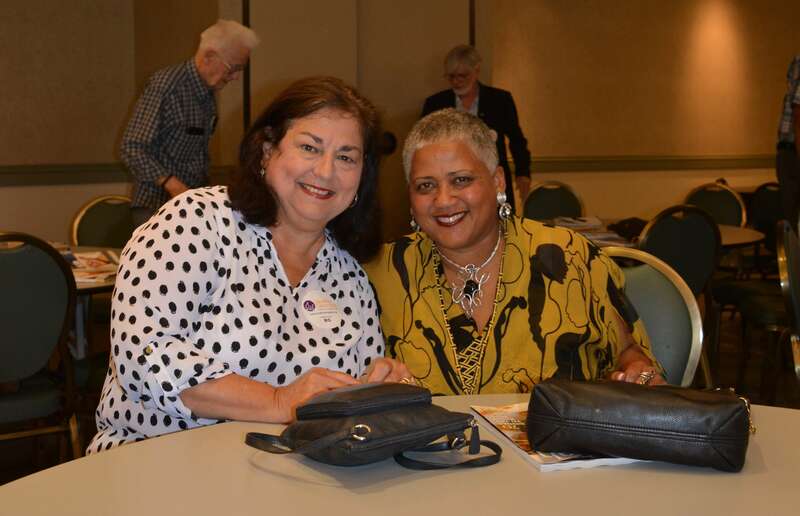 Gompels serves on the board of the Savannah Economic Development Authority, the Savannah Area McDonald’s Operator Association, and the Ameris Bank community board. 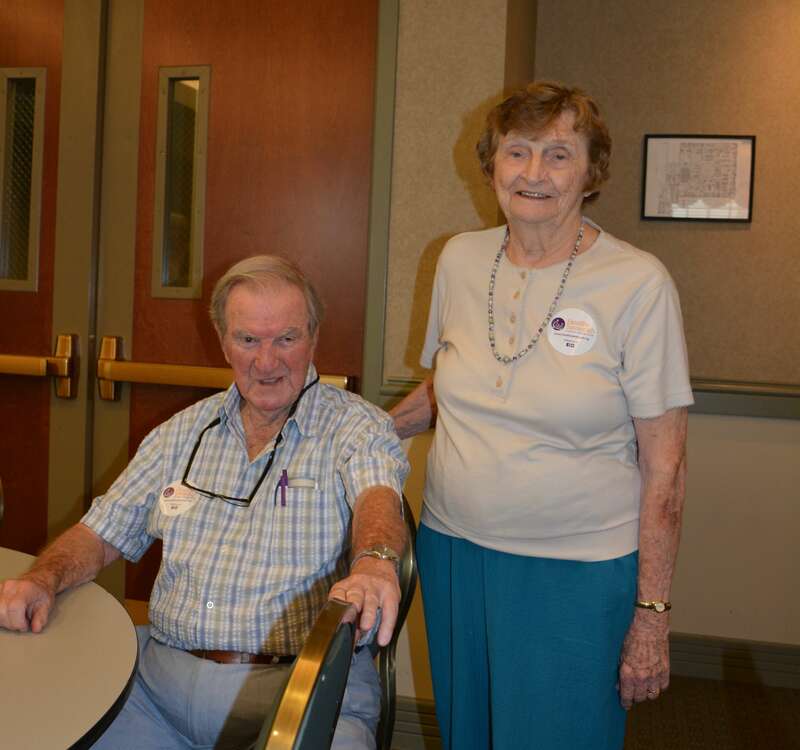 The Rotary Club of Savannah includes 225 community leaders and volunteers. Over the past 103 years, the club has championed local and regional developments that include completing the road to Tybee Island, improving the Savannah River for commercial traffic, enhancing the Dixie Highway system in southeast Georgia and building bridges over the Savannah and Altamaha Rivers. Most recently in recognition of the 100th anniversary, the club raised funds and constructed an all-accessible playground in Forsyth Park. 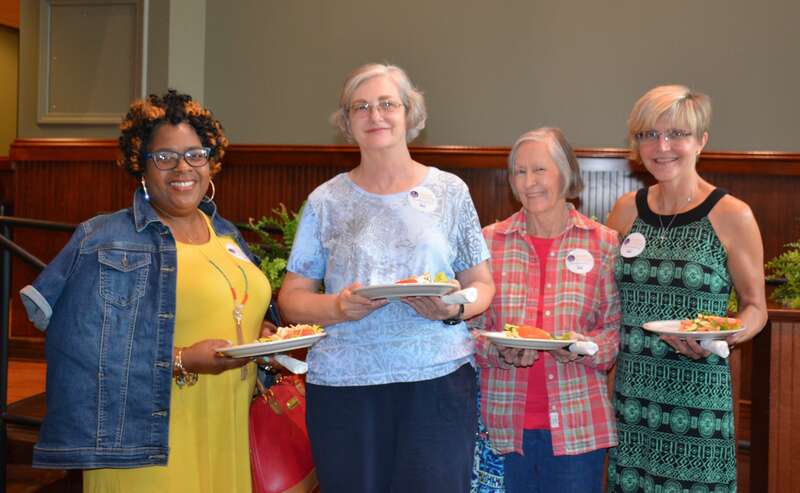 The Rotary Club of Savannah also sponsored the organization of new Rotary clubs in Augusta, Brunswick, Statesboro, Blackshear and Savannah West. Furthering the goals of Rotary International, the club has supported wartime relief efforts, student scholarships, polio eradication and other global health initiatives. Rotary District 6920 of southeast Georgia is looking for young professionals to apply for a Group Study Exchange Team that will travel to and observe previous Rotarians’ work in India at the start of 2018. (CENTRAL AND SOUTHEAST GEORGIA) Rotary District 6920 is looking for young professionals to apply for a Group Study Exchange (GSE). The team selected will travel to the Hyderabad, India area from mid January to mid February 2018. Travel expenses for the GSE team are covered by Rotary District 6920. Applicants must be 25-40 years of age and live in District 6920 which covers central, south central, southeast and coastal Georgia. Rotarians and Non-Rotarians alike who meet the criteria are welcome to apply. Team members will stay with local Rotarian families and visit humanitarian projects provided by Rotary. Team members will also partake in a number of cultural visits. 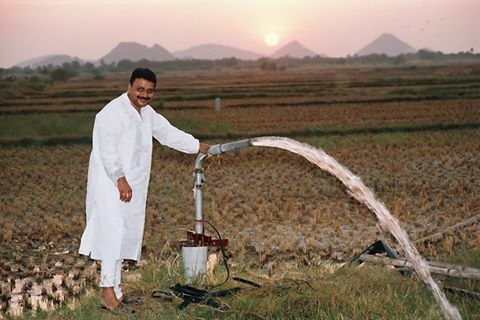 Throughout the past five years, Rotary District 6920 has collaborated with District 3150 of the Telangana and Andhra Pradesh areas of India and The Rotary Foundation (TRF) to complete a variety of humanitarian initiatives in southern India led by Dr. Ravi Vadlamani, past district governor of District 3150. Funds provided desks for school children, sewing machines, special tricycles for the victims of Polio and other diseases, education for parents and teachers in schools and water and sanitation facilities. The initiative led to the improvement and protection of hundreds of lives by giving individuals a quality of life and a hope for the future. The GSE team leader application deadline is Friday, July 7, 2017, at 5:00 p.m. 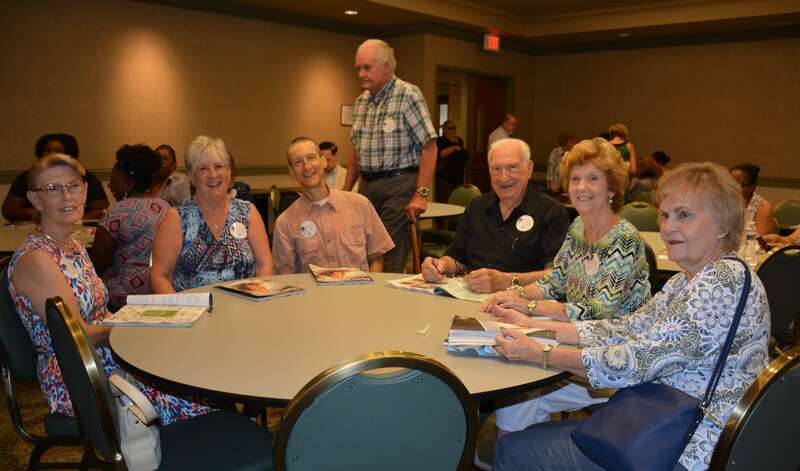 The deadline for GSE team members is Friday, September 15, 2017, at 5:00 p.m.
To apply for the Group Study Exchange, please visit www.rotarydistrict6920.net, click on the Foundation tab then Group Study Exchange. or contact a rotary member in your community. A Rotarian in action on a Group Study Exchange. (SAVANNAH, GA) – The Oglethorpe Driving Club (ODC) announces plans to hold the July 1 “Coffee and Cars” meeting at Bethesda Academy, 9520 Ferguson Avenue, Savannah, GA 31406, from 7 – 11 a.m.
On display will be the finest examples of classic, vintage and exotic cars from Savannah and surrounding areas. Donations will be accepted at the event, with all proceeds benefiting Bethesda Academy. 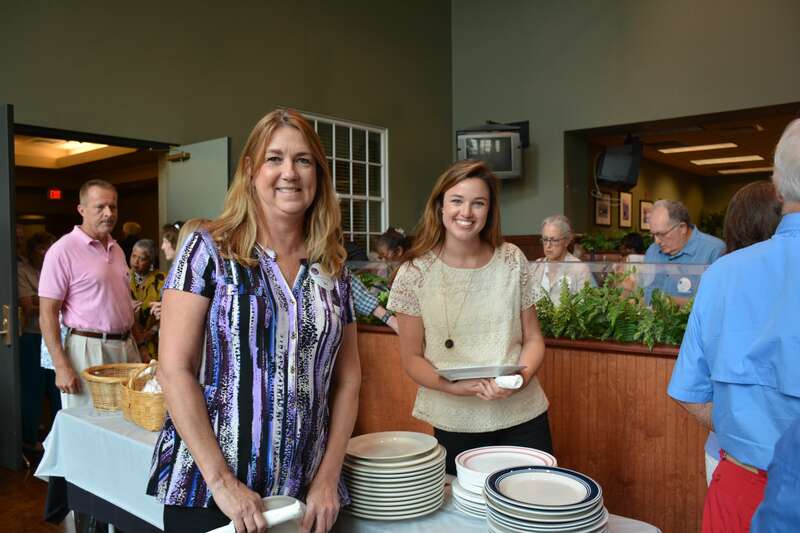 Last year’s event raised almost $4,000 to provide scholarship funds for Bethesda students. Typically held on the first Saturday of each month at Habersham Shopping Center, “Coffee and Cars” is relocating this month to be closer to the organization it is supporting. The ODC was formed in Savannah in 2006 to commemorate the 100th anniversary of the first United States Grand Prix, which was held in Savannah on November 26, 1908. It’s a 50 member fraternity of sports car owners and enthusiasts dedicated to the use and enjoyment of sports cars and auto racing, ODC meetings typically host over 150 cars. In addition to monthly “Coffee and Cars” meetings, the organization honors its predecessor, the Savannah Automobile Club of 1904, by sponsoring racing competitions, rallies, advanced driving courses, Concours d’Elegance and other social events. The ODC also works actively to advance the sport of motor racing in Savannah and to preserve Savannah’s illustrious auto racing heritage.